As we are quickly rounding the end of October and heading into holiday season, we wanted to share the perfect gift idea! Seat Heaters! If you’re wanting to surprise your significant other with a thoughtful and useful gift, look no further! 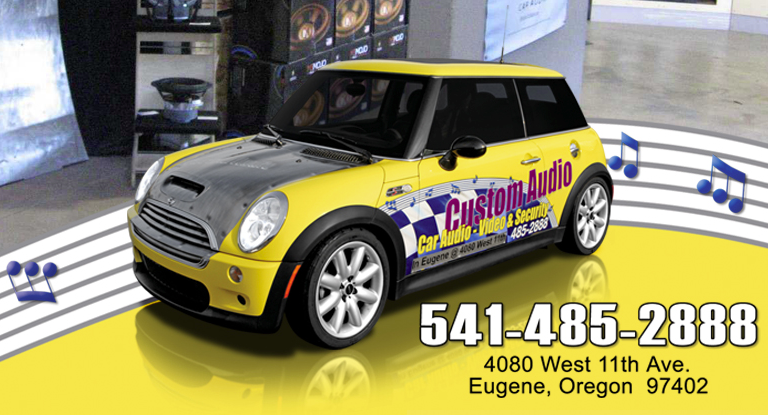 Heated seats from Custom Audio, located in Eugene, Oregon will be the gift that keeps giving! Nothing seems worse than getting into your vehicle on a foggy, freezing morning, driving all the way to work, frozen and cold. Your heater finally warms up as you pull into work and you start the day as a popsicle. Now imagine getting into your car and with a push of a button, your seat is warm within seconds! This cozy ride could be a reality! Custom Audio’s Heat Your Seat products will provide quality heating systems that warm up your Winter! Here at Custom Audio we sell and install car and RV seat heaters from Heat Your Seat systems! These systems are a high quality product made right here in the USA! They are equal or superior to OE seat heaters and have a 3-year/36,000 mile warranty! Heat Your Seat systems are known for their innovation and reliability. Their hardware and wiring are seamlessly installed out of sight by the staff here at Custom Audio! This Winter enjoy the comforting warmth delivered quickly from their 1 Series, 2 Series and 3 Series systems! Each system heats up your seats in seconds, even in the coldest weather! Their safety features include a one hour safety-shut off! Planning a long road trip in your RV for the holidays?! A 3-Series Dual heating system in the two front seats will provide maximum comfort for the drive! This series has two separate High-Medium-Low membrane switches for more installation flexibility! Beyond seat heaters for your RV, motorcycle and boat, another product that Heat Your Seat offers is The 2 Series Massage. This wire seat heater model is known as the best car seat massager on the market today. This system not only gives muscle tension relief but it can also be useful to increase your alertness! This model has three modes of operation that can be controlled From just one switch, you can turn on the massage and heat, massage only or heat only! Come visit us today and we can talk about the system that best fits your needs! We are happy to answer any questions pre-installation and after! Locally owned, Custom Audio’s goal is to make every customer feel valued and appreciated! Male OR female, they make you feel comfortable in a no-pressure atmosphere where the focus is on quality of product and service!